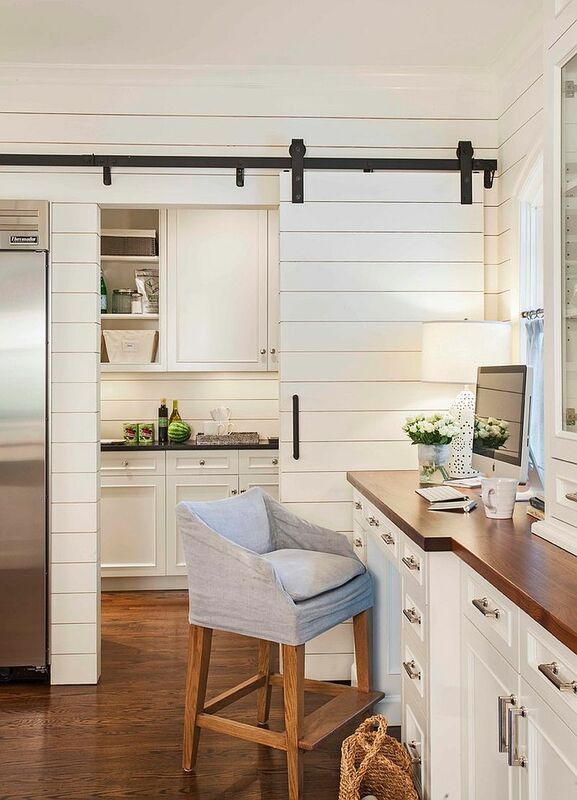 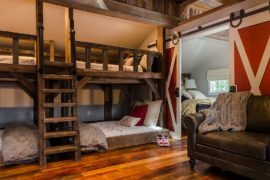 Sometimes it is used as a space-saver and on other occasions it is an aesthetic addition that turns heads and anchors a breezy, contemporary room; the classic barn door has acquired new-found popularity in the last few seasons. 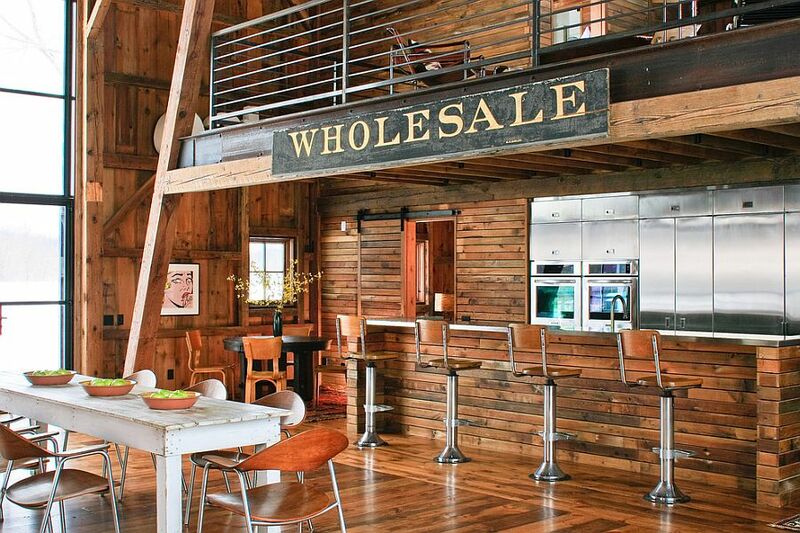 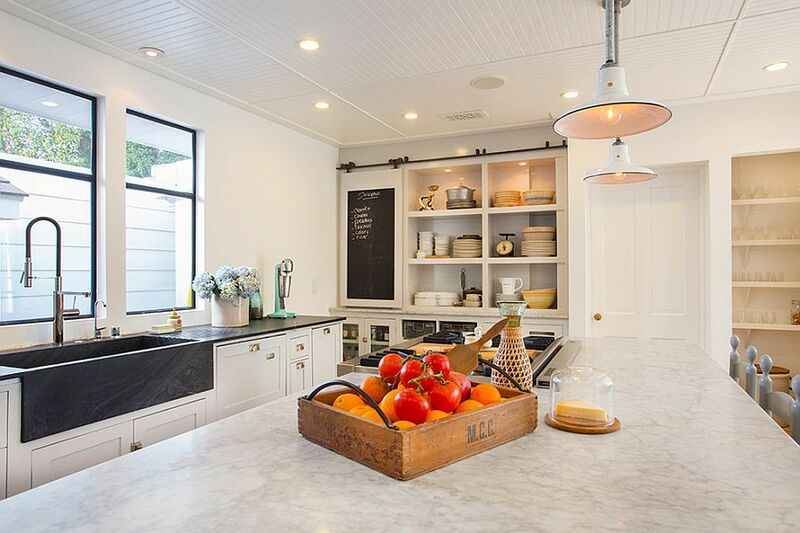 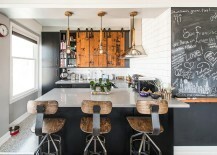 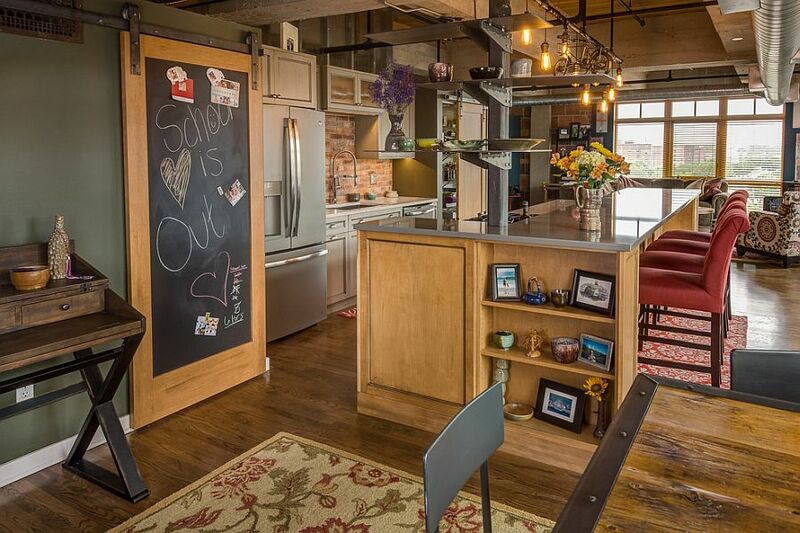 It has been a major part in design trends such as the use of reclaimed wood and distressed wooden accents. 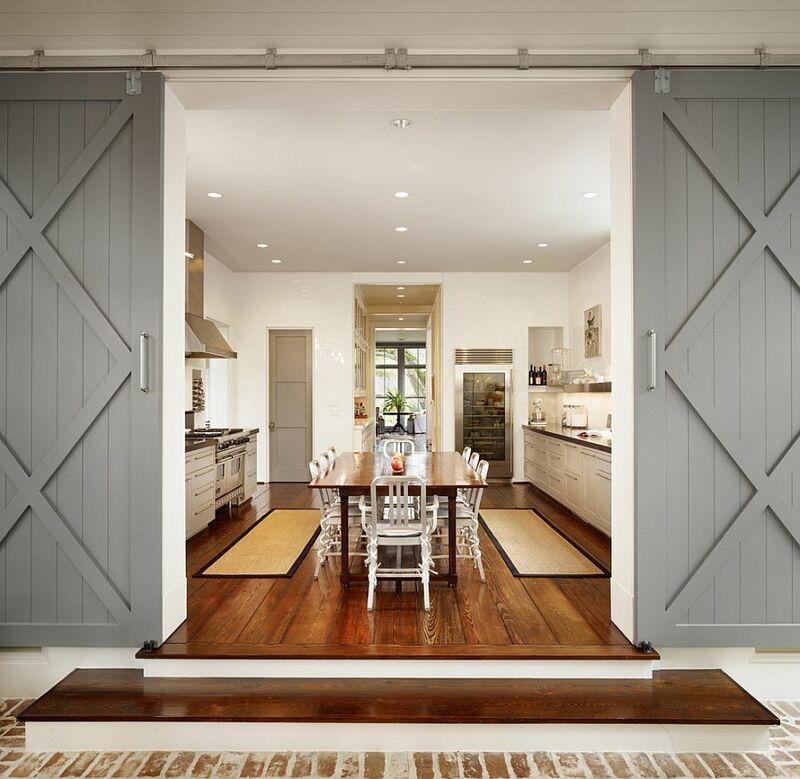 The barn door has a presence about it that is simply undeniable, and it looks even more mesmerizing in a modern setting. 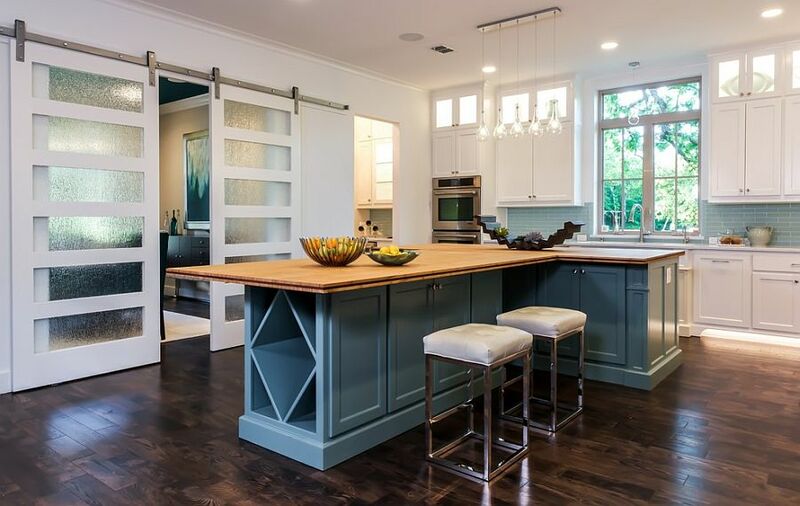 Having showcased some fabulous examples of barn doors used in stylish living rooms and trendy bedrooms, today we take a look at kitchens that turn to the sliding barn door. 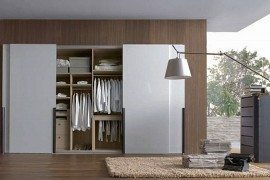 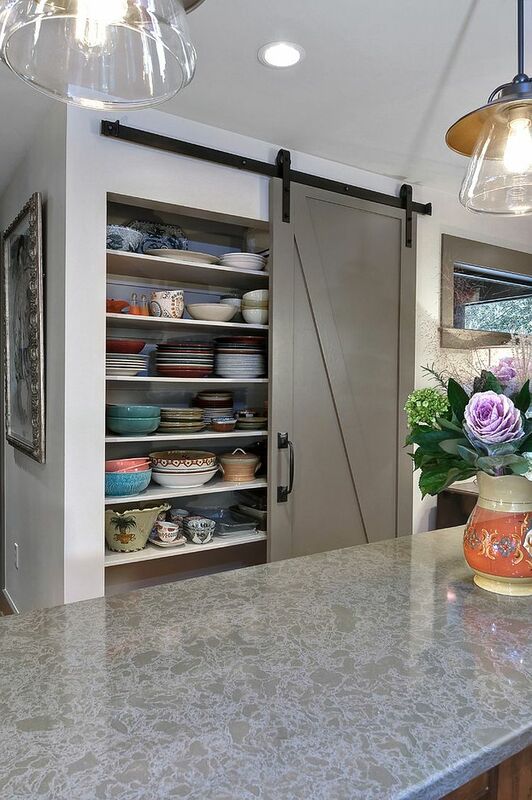 If you are looking for a pantry door that is unique, fashionable and brings an additional texture to your kitchen dominated by stone, tile and glass, then the sliding barn door is a great option indeed. 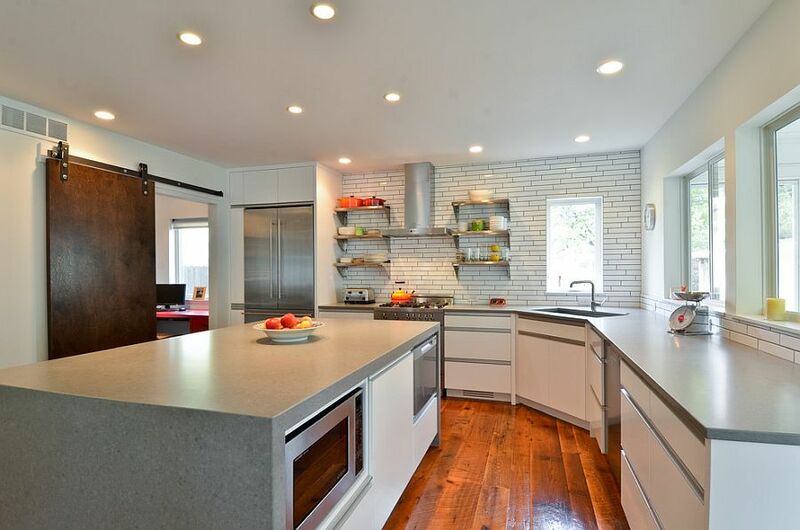 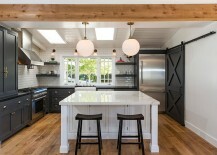 There are plenty of variations here that you can select from, and the existing style of your kitchen often determines this choice. 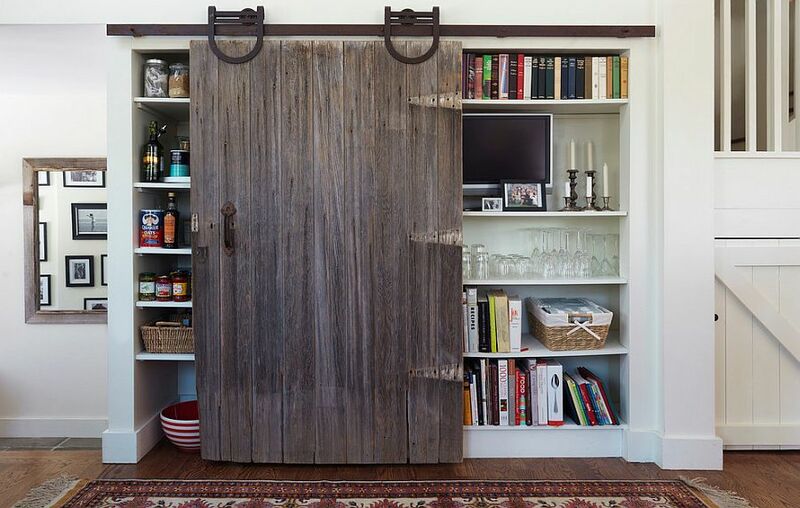 A reclaimed, vintage barn door can be expensive, is often pretty heavy, and will take special hardware to install. 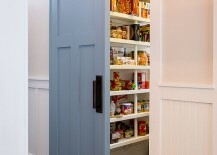 Consider the cost and the space on offer before you choose one as your new pantry door. 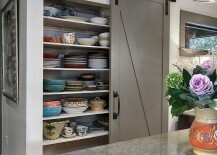 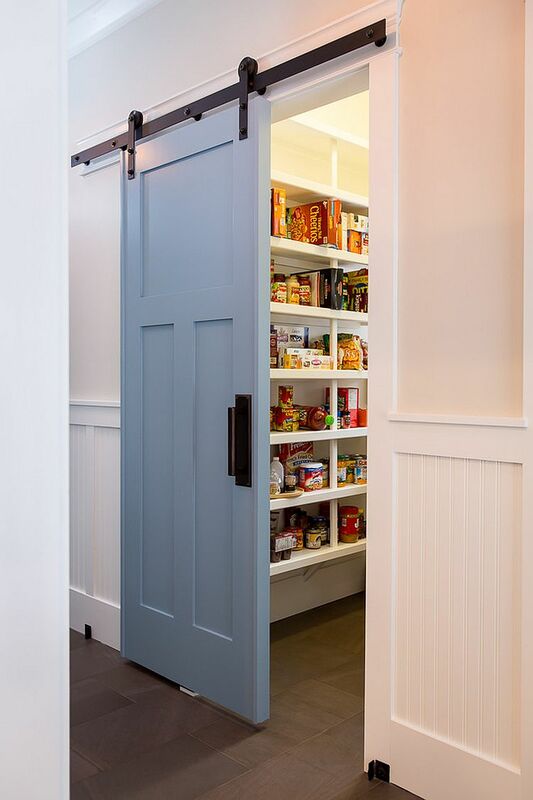 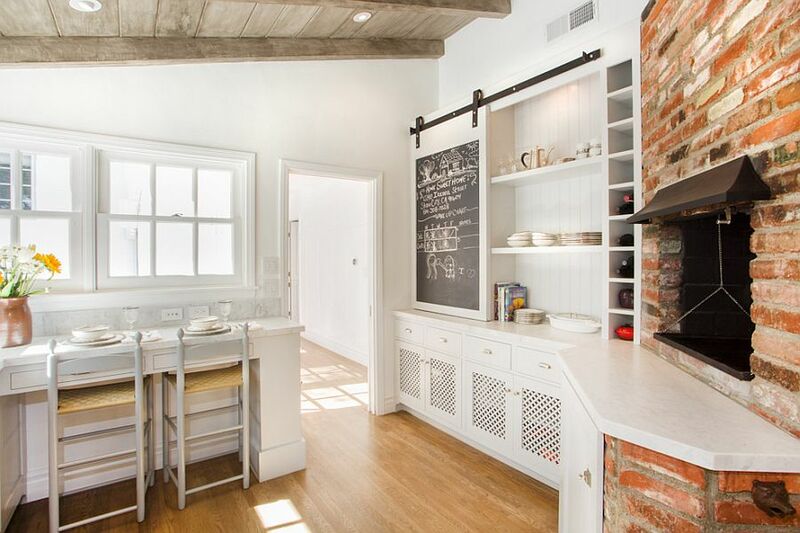 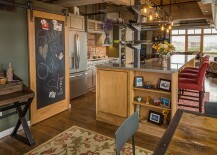 The sliding mechanism of the barn door is what makes it so perfect for the pantry. 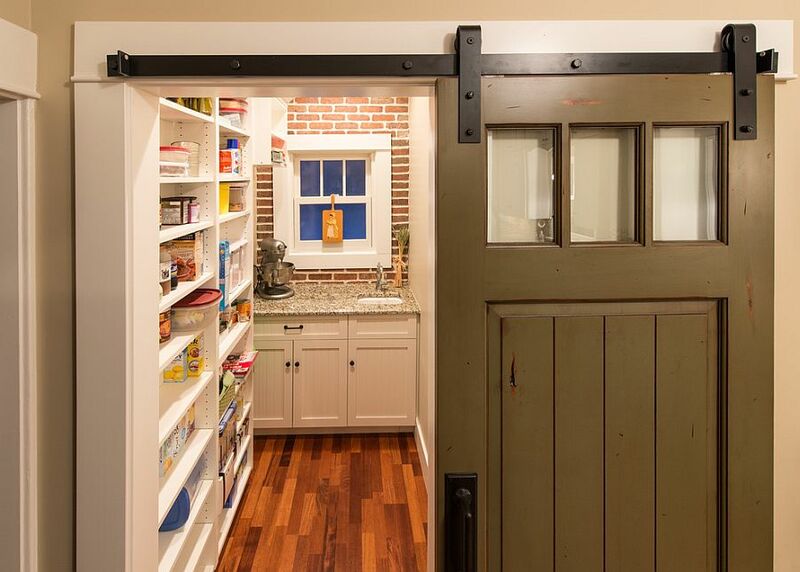 This helps save space in the kitchen, as you will not need any additional clearance area for swinging open the door. 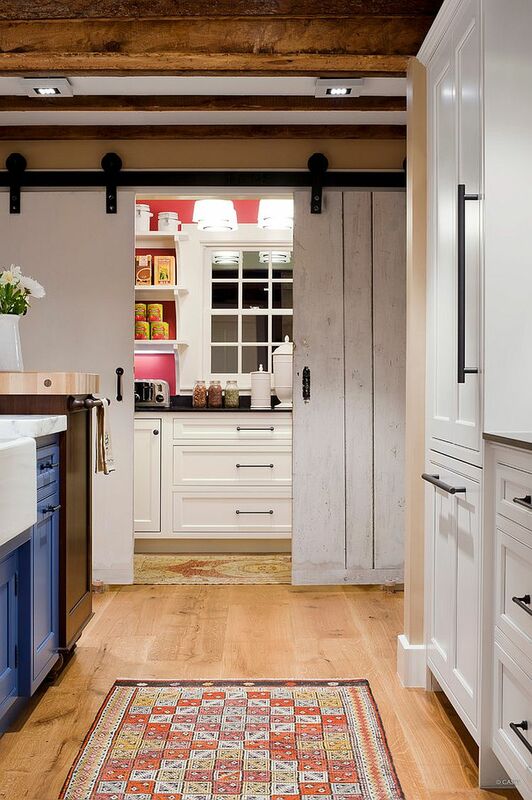 Lighter, more modern sliding, barn-style doors also offer a versatile alternative, and you can even use paint to ensure they blend in with the color scheme of your kitchen. 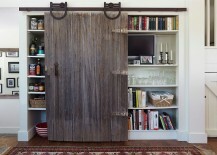 Does the barn door for the pantry seem like an all-too-obvious choice? 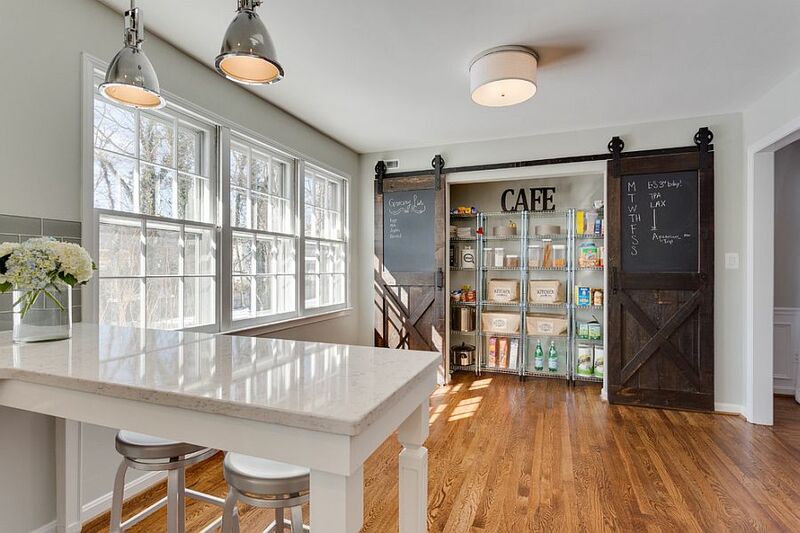 Maybe what your kitchen needs is a remarkable entrance that sets it apart from the dining room and living area next to it! 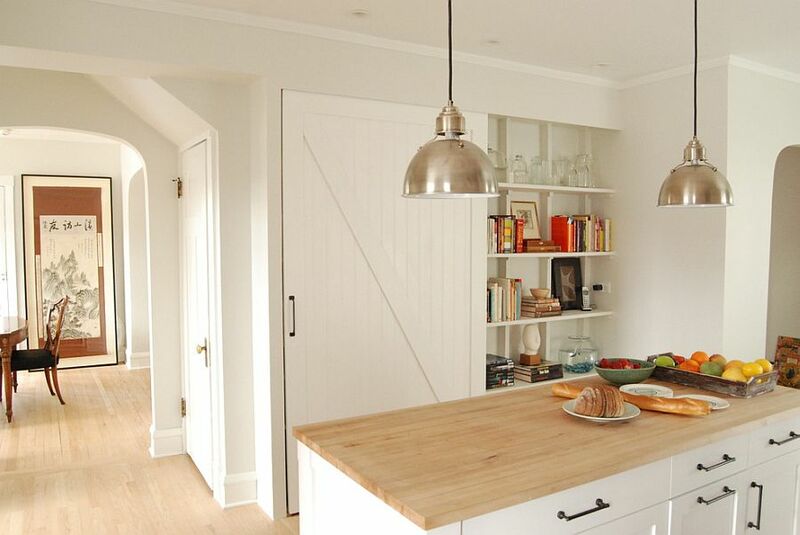 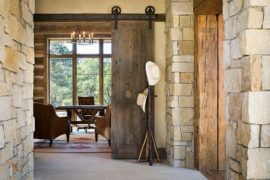 Sliding barn-style doors get this done with ease, and they definitely bring a sense of dramatic style thanks to both their size and the visual contrast they offer. 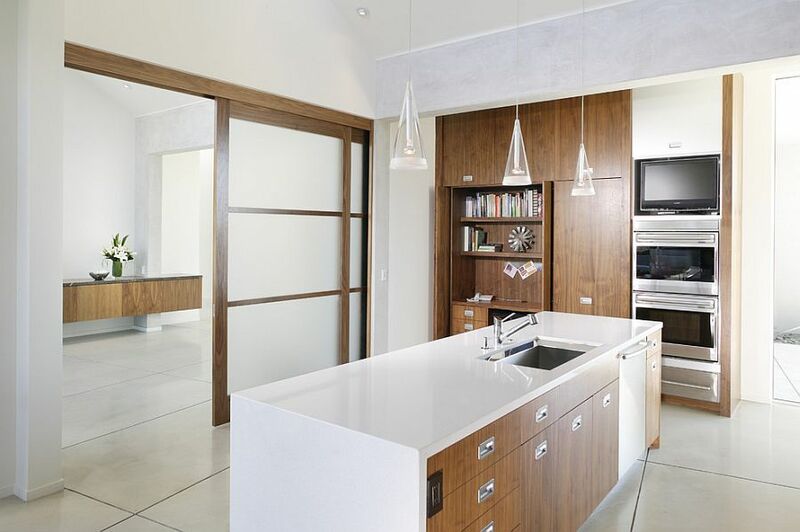 Those seeking the same visual impact but with a more refined finish can either paint it in lovely neutrals such as steely gray or even opt for sliding doors with wooden frames and frosted glass panels. 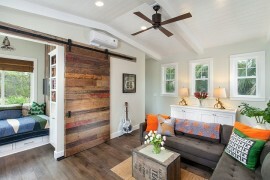 These modern variants inspired by the barn door seem equally impressive. 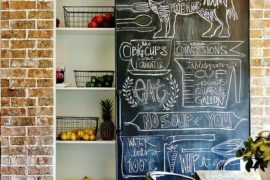 A Fun & Useful Message Board! 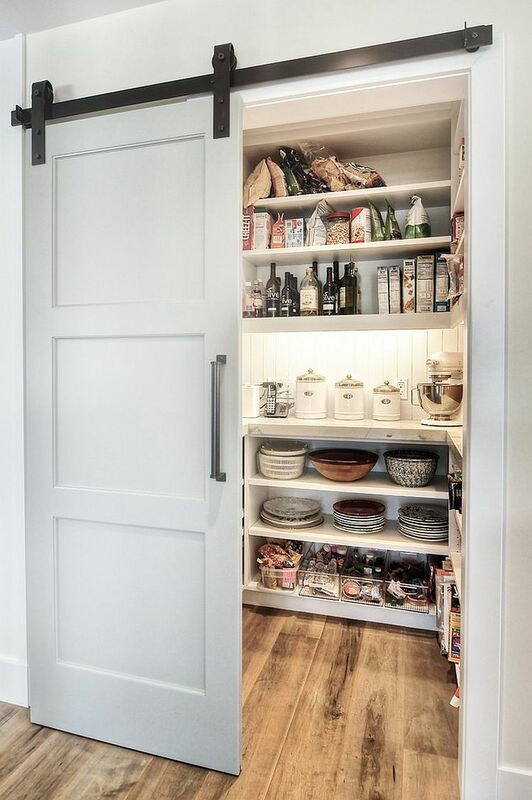 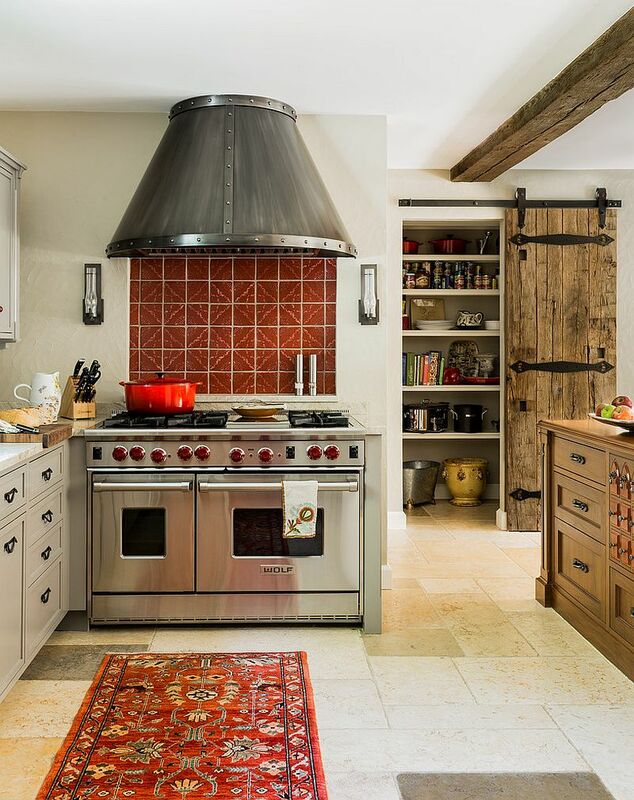 Those who do not have a full-fledged pantry and have a kitchen that is part of an open plan living area can still tap into the charm of the barn door by using similar doors for the kitchen cabinets. 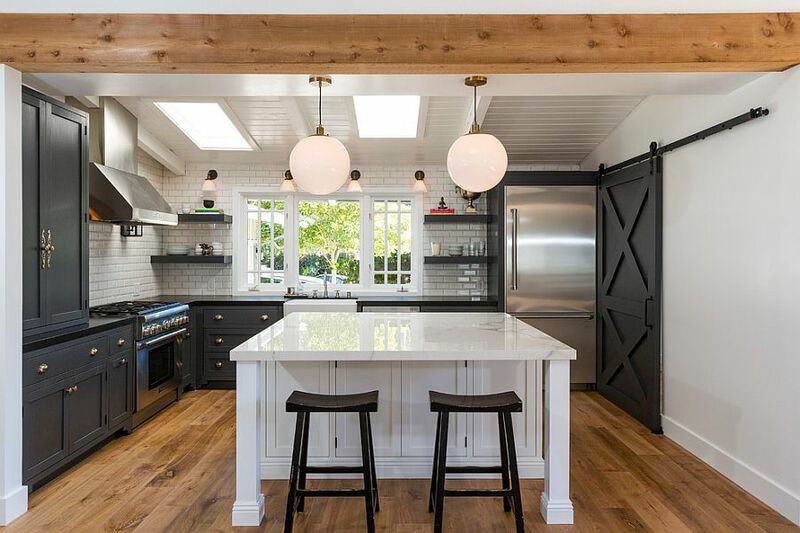 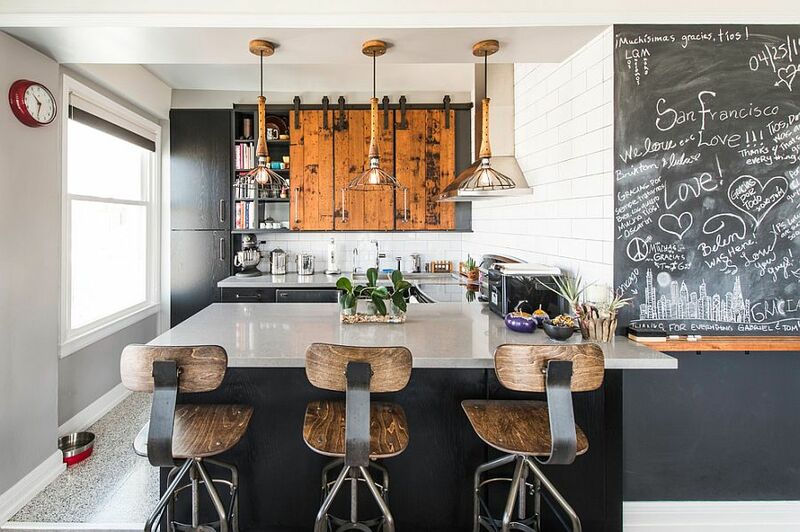 They seem like loads of fun, bring the warmth of weathered wood to the kitchen and often end up being the showstoppers of the modern interior. 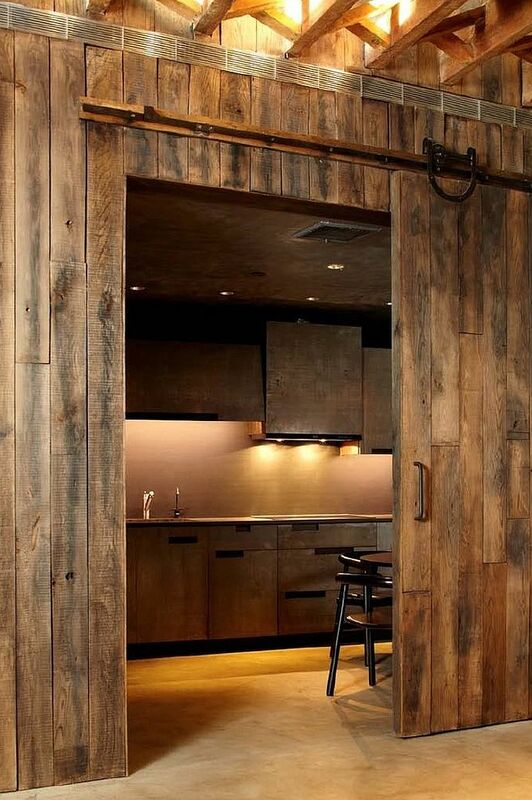 Sliding, frosted glass cabinet doors with a metallic or wooden frame might not exactly be ‘barn doors’ in the strictest sense, but that is another great way to translate the rustic inspiration into a contemporary variant. 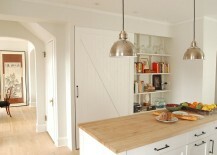 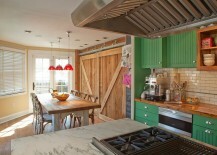 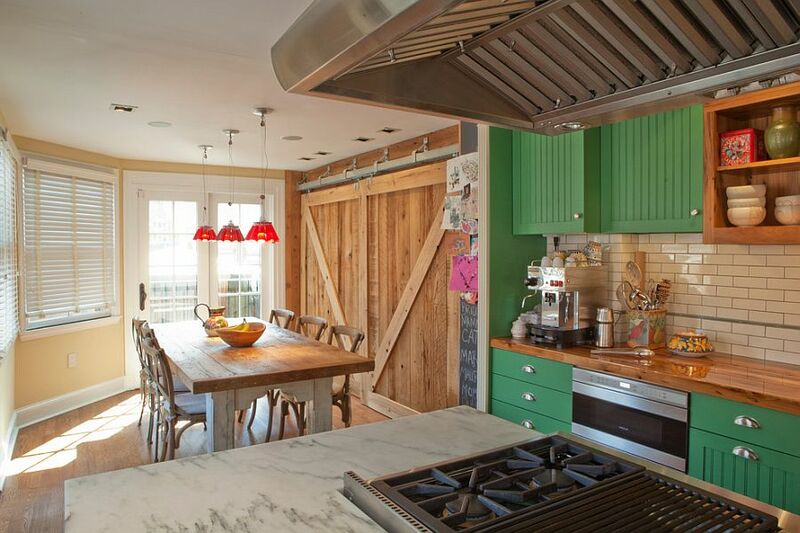 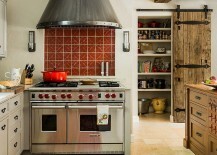 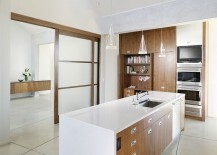 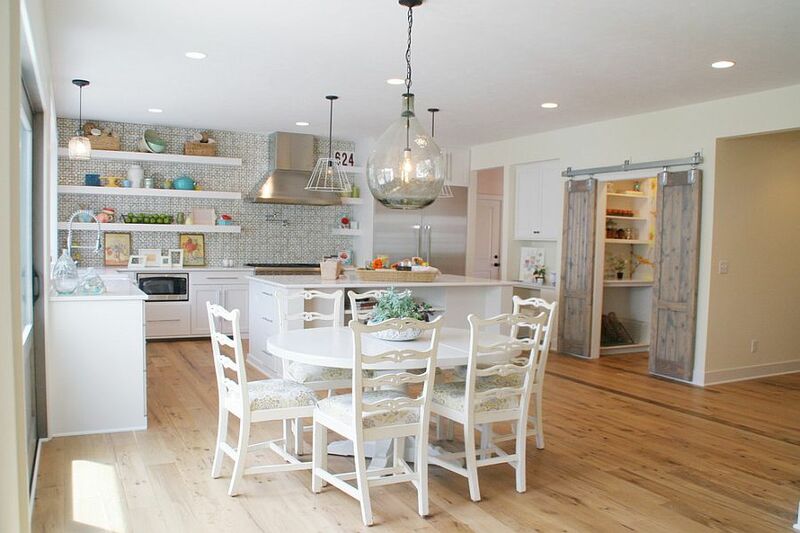 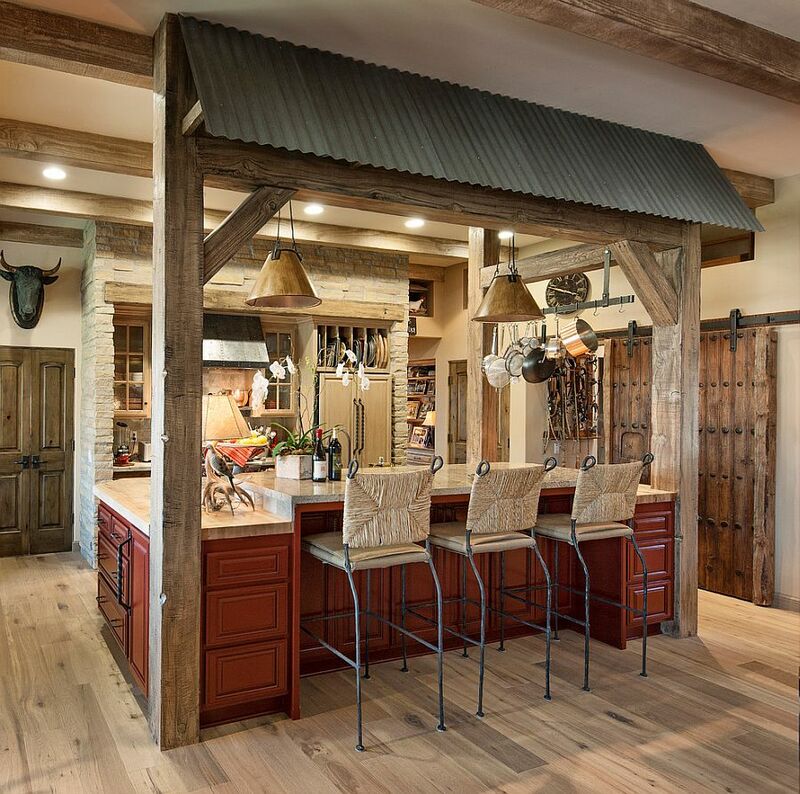 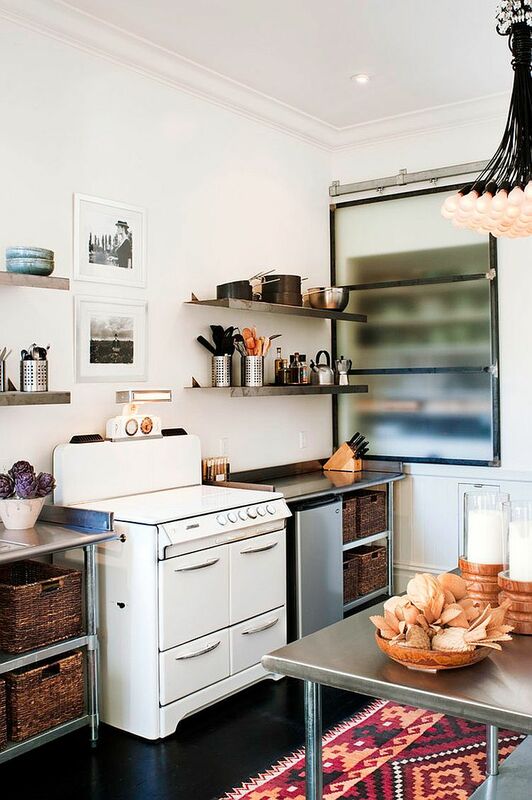 Improvise and innovate to make sure that your version of the barn door fits with the ambiance of your kitchen.